The global centrifugal pump market is expected to grow at a compounded annual growth rate (CAGR) of 4.7 per cent from the current $33 billion to $50 billion by 2027. Kirloskar Brothers Ltd (KBL), the largest and oldest pump manufacturer in the country, will focus on improving margins than scaling up revenues, said Sanjay C Kirloskar, chairman and managing director. 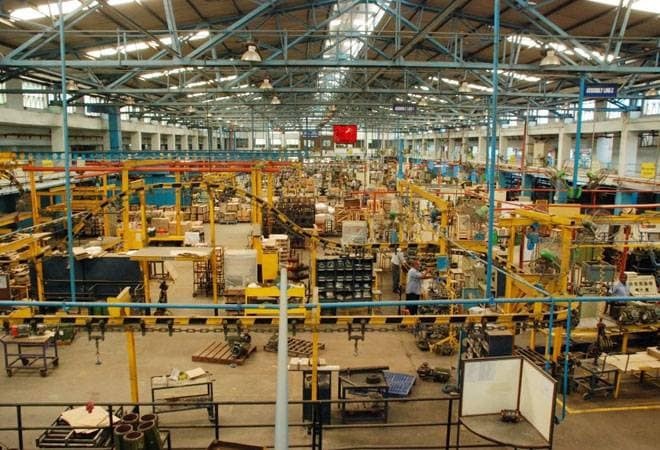 The pioneering company with a history of nearly 130 years and the first company under the Kirloskar group, has been facing margin pressure in recent years due to economic slowdown and drying up of industry sector revenues. "If 75 per cent of revenues were coming from industrial and other infrastructure projects a decade ago, now this has come down to 20 per cent. However, this has been compensated by focusing on demand in small submersible pumps, value added systems and services and thrust on exports," said Sanjay Kirloskar in an exclusive interview with Business Today. KBL had net sales of Rs.1,913 crore in FY2018 with a net profit of Rs.65.6 crore, as against sales of Rs1,735 crore with a net profit of Rs 33 crore in the previous year. The global centrifugal pump market is expected to grow at a compounded annual growth rate (CAGR) of 4.7 per cent from the current $33 billion to $50 billion by 2027. The Indian centrifugal pump market is valued about Rs 11,290 crore and is expected to grow at over 10 per cent. KBL commands nearly 20 per cent of the domestic market with a huge product portfolio that ranges from 3 kilowatthour (KWh) to 20 megawatt (MW) pumpsets. With a view to optimise cost, the company has introduced an automated capex management system and is strengthening IT capabilities. The company is also upgrading effectiveness of its existing product offerings. Thermal power projects are facing a crisis and with the government's thrust on adding new nuclear capabilities and focus on renewable energy, the company is expecting more orders from these sectors. Sectors like chemical, oil and gas, transportation, steel etc is seeing a revival and that can translate to better order position. Water management, marine and defence sectors are also likely to contribute to growth in the coming years, said Sanjay Kirloskar, a fourth generation entrepreneur. In the export markets, the company is focusing more on fluid management products and solutions as environmental concerns are increasing and demand for potable water is on the rise. KBL has subsidiaries in the USA, UK, Netherlands, South Africa and Thailand, besides sales offices in many countries. Research and development continues to be the focus of KBL. Last year the company pioneered online selection software for multi-stage, multi-outlet (MSMO) pumps and introduced a skid mounted sprinkler system. In India, the company has manufacturing plants in Dewas, Sanand, Kaniyur, Kondhapri and Kirloskarwadi.